Pharmacists dispensed 3.9 billion prescriptions in 2009. 1. Does Major Dental Work Count as a Deduction for Income Tax? Prescription medications can be an important part of your overall health care picture. They can also be an expensive part of that picture. 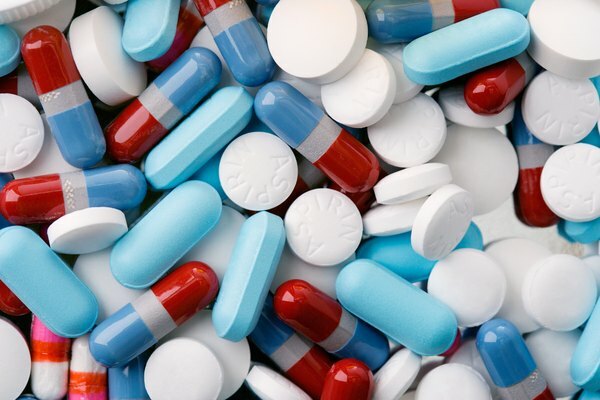 Americans spent $320 billion for prescription drugs in 2011. You might be able to deduct some or all of the cost of your prescription medications when you file your federal income tax return, provided you meet all the requirements established by the Internal Revenue Service. You have the option of either itemizing your deductions or claiming the standard deduction when you file your federal income tax return. You can claim a deduction for your prescription medications only if you itemize your deductions. The IRS recommends figuring your tax return using both methods to determine which will provide you with the lowest tax obligation. Most taxpayers choose the standard deduction because it is simpler to figure and in most cases provides the lower obligation. The IRS allows you to include expenses for prescription medications only for which you were not reimbursed. You cannot deduct the cost of prescriptions that were paid directly by your insurance company. You might have paid for a prescription up front but were later reimbursed by your insurance company for all or a portion of the cost of the prescription. You can't deduct any amount that was reimbursed. You can add any unreimbursed, out-of-pocket expenses for prescriptions, including co-pay amounts, to your other allowable medical expenses. You'll need to figure your adjusted gross income before you can determine if any part of your medical expenses, including your prescription medication expenses, are tax deductible. The IRS allows you to deduct only the amount of your total medical expenses that exceeds 7.5 percent of your adjusted gross income for the 2012 tax year. A new rate goes into effect for the 2013 tax year. After Dec. 31, 2012, the IRS will allow you to deduct only the amount of your total medical expenses that exceeds 10 percent of your adjusted gross income. If you, your spouse or one of your dependents is diabetic you can also add the cost of insulin to your prescription drug expenses. You cannot deduct the cost of any other nonprescription drugs or medications. You typically can't deduct the cost of prescriptions that you ordered from another country, unless the drug can be legally imported by individuals. If you are traveling or living abroad, you can deduct the cost of prescription drugs that are legal in both the United States and in the country where you purchased the drug. IRS: Topic 501 — Should I Itemize?